October 11, 2015, 9:54 a.m.
On the morning of October 1st a young man entered into the Umpqua Community College in Oregon and killed ten people, including himself, and shot nine others. So far in 2015 there have been 294 mass shootings in the United States, including 45 at schools. Responding to the shooting, President Obama lamented the fact that mass shootings have become routine, arguing that the failure to impose stricter gun laws is a conscious political choice on the part of the American people to allow mass shootings to be common. The latest research from YouGov shows that a large number of Americans (35%) think that mass shootings are "just a fact of life in America today." 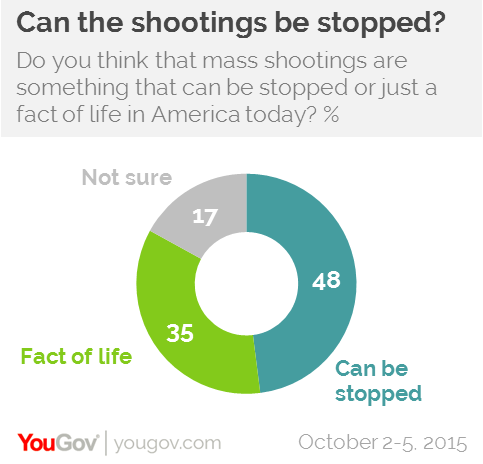 Fewer than half of Americans (48%) believe that mass shootings are something that can be stopped. 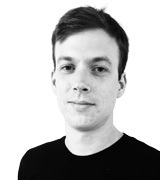 Stricter gun control is not, however, widely seen as the way to stop gun deaths. Only 35% of Americans think that stricter gun laws would reduce the number of shootings of all kinds in the US, while half the country either think they would have no impact (35%) or even increase the number of deaths (15%). 44% of Americans do, however, say that stricter gun laws are more likely to prevent mass shootings than allowing more private citizens to carry guns (36%). As mass shootings have become part of the rhythm of American life, the outrage which followed earlier incidents - for example, Columbine - has diminished and the responses have become routine. Certain pro-gun activists have accused pro-gun control activists of acting insensitively and &apos;politicizing&apos; the shootings by talking about stricter laws after mass shootings, but most of the American public (53%) believe that it is appropriate to discuss stricter gun laws after mass shootings. 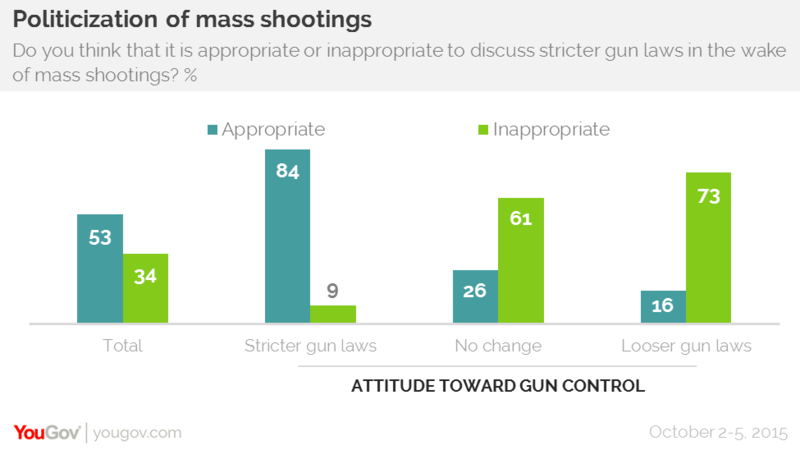 That said, most people who either support current gun laws (61%) or think gun laws should be less strict (73%) think that it is inappropriate to discuss tougher laws after mass shootings. Support for stricter gun laws has long been significant and continues to be the most popular attitude among the public. 49% of Americans support stricter laws on the sale of handguns and 30% support the law as it stands now while 13% want the laws to be loosened. This distribution of support has not changed significantly in the past four years, even in the wake of the deadly shooting at Sandy Hook, indicating that the opinions of most Americans towards gun control are largely set in stone. 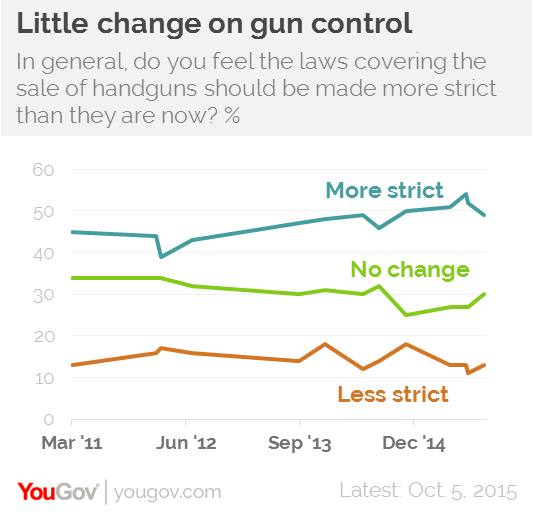 Certain Americans are, however, much more likely to support gun control than others. 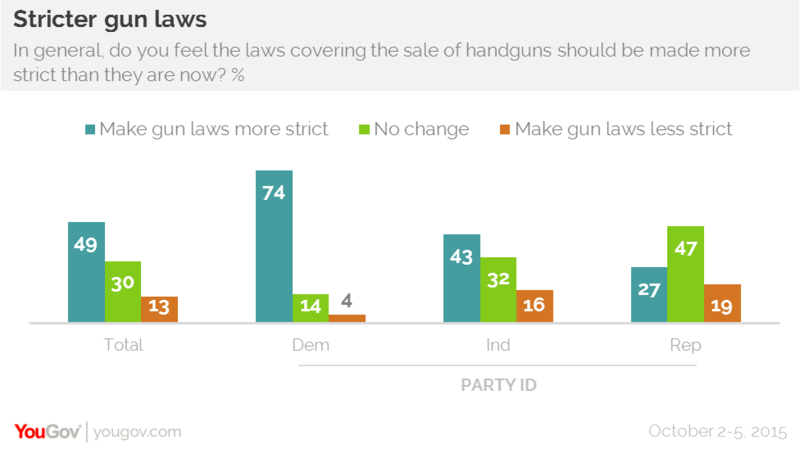 A majority of Democrats (74%) and many independents (43%) support stricter gun laws. Even among Republicans support for stricter gun laws (27%) is greater than support for weakening gun laws (19%). 47% of Republicans support gun laws as they currently are. Just over a quarter of Americans (27%) are at least &apos;somewhat worried&apos; that they will be killed or injured in a mass shooting. 40% are &apos;not very worried&apos; while 27% are &apos;not at all worried&apos; of being killed in a mass shooting.